Teeny Beanies sell a wide range of products and these cute character bean bags come in the following characters: Ulanda Unicorn, Woolly Sheep, Bernie Bunny, Melvin Monkey, Horace Horse, Bumble Bee, Henry Hippo, Digby Dog, Peggy Pig, Florence Fairy, Dotty Ladybird, Dizzy Dinosaur, Claude Cat and Edmund Elephant. 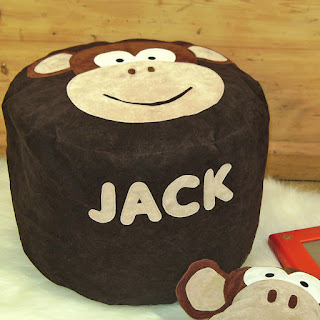 Bean bags can be personalised for an extra cost and come in 3 sizes small, medium and large. I have a chance for one person to win £25 spend at Teeny Beanies! What will you spend it on? Maybe towards one of these beanbags or something else? A Ulanda Unicorn bean bag. I would put it towards a bean bag - my little boy would love it and it looks so comfy! I would put it towards a couple of Hotties,they look very useful. I like the Digby dog cushion. I would get the small bumble bee bean bag. I will buy an Ulanda Unicorn bean bag. I would get the Digby Dog cushion for my nephew.